Internship in B.B.A Program is a scope of gathering practical knowledge on corporate environment by engaging in an organization for a certain period. My report on “Foreign Exchange System of the Jamuna Bank Limited” will be the result of the study that I am going to perform during the internship period in Jamuna Bank Limited. Bank is a financial institution where financial activities held and operate various banking services with their clients. Bank plays major role in the economy of the country. It is a depository institutions where arrange funds and giving loans from different sources. Jamuna Bank Limited is a scheduled private commercial Bank established on June 3, 2001 under the Bank Company Act, 1991 and incorporated as a Public Limited Company under Companies Act, 1994. The Bank started commercial Banking operations from June 3rd June 2001.From then with in a short time JBL established itself in a strong position in the economy of the country. It has earned significant reputation in the country’s Banking sector as Bank and created a wide image in the eye of the people. The dream of creating JBL, which is ‘A Bank of 21st Century’, has become successful because of the initiative of some persons who are the sponsors of JBL. There are 6 sponsors in Jamuna Bank Limited and all of them are highly regarded for their entrepreneurial competence. This bank has been licensed by the process of the policy of liberalization of banking and financial services or Bangladesh. In view of the above the bank has within a period of ten years of its operation achieved a remarkable success and has always met up capital adequacy requirement set by Bangladesh Bank. There are working socio-economic development as economically in the country. The sponsors are happening to be members who are associated with other financial institution like companies; leasing company’s etc. the board of directors consists of 14 members elected from the sponsors of the bank and the board of directors is the apex body of bank. All route matters beyond delegated owners of management are decided upon by or routed through the executive committee, subject to ratification by the board of directors. The honorable chairman of the Jamuna Bank is Al-haj Md. Rezaul Karim Ansari. As per the course requirement of B.B.A Program, I am supposed to submit a report based on “Foreign Exchange System of the Jamuna Bank Limited”. In that regard I am submitting this proposal for the report topic and its details. The program supervisor authorized me to submit the report on “Foreign Exchange System of the Jamuna Bank Limited (Gazipur chowrasta Branch)”. The internship program was started from 01st February and end up 31April 2010. In the later 19th century, Finance was a part of the Economics. But due to the globalization and more expansion of international trade, Finance place the major role for the economic development. The development of the modern economy would not have been possible without the use of money. A first fundamental characteristic of money is that it is very much like collective goods. It is a parallel relationship between money and Banking. Bank is an important and essential institution for the necessity of the use of money and the protection of the money. As a B.B.A student with major in Finance, Financial institutions are the most appropriate field to gather the experience and among the financial institution Bank is the most prominent place. With a view to supply skilled personals in banking arena, Southeast University has undertaking the Internship training program for the B.B.A students. As a part of the B.B.A program I placed in Jamuna Bank Limited, at Gazipur chowrasta Branch for having practical exposure in the Bank for three months internship program. To gather knowledge about banking companies operations in practical field. To gather practical knowledge and real life experience in official environment. To have exposure to the functions of foreign exchange section. To understand procedures of foreign exchange management of commercial banks in Bangladesh. To study existing banker customer relationship. To get an overview of the private Banking in our country. The study is performed based on the information extracted from different sources collected by using a specific methodology. This report is analytical in nature. How close to the issue-under-study can a researcher reach depends, to a great extent, on how methodically he/she can approach the issue. Although necessity of using data and information has always been the prime determinant of the quality, accuracy and worthiness of a research project, in these days of abundant availability of data and information this necessity has only been acute, methodology is the pathfinder of working out a good research paper. Population: All the companies business located in everywhere in Bangladesh have been taken into consideration as population. Sample: The Jamuna Bank Limited is considered as sample for preparing this report. Face-to-Face conversation with the respective officers and staffs. Annual Report of Jamuna Bank Limited. Relevant books, Research papers, Newspapers and Journals. Some arithmetic and graphical tools are used in this report for analyzing the collected data and to classifying those to interpret them clearly. With the growing competition among nationalized, foreign and private commercial banks as to how the banks operates it banking operation and how customer service can be made attractive. Commercial or private banks are trying to evaluate their traditional banking service to a better standard, to meet the challenging needs. So they pay attention on better performance and existence. Under the above circumstances, it has become necessary for Jamuna Bank Limited, one of the private commercial banks, to focus its attention towards the improvement, who are actually executing the policies undertaken by the top management will have a chance to communicate their feelings and will have the feedback about their dealings from the customer. In today’s world only academic education does not make a student perfect to become competitive with outside the world. Internship is highly needed to gain idea, knowledge and experience. From this internship program we get the opportunity to learn about the real business world and organizational culture. I have also got this opportunity and I select banking sector to do this programmed. Because of the banking sector plays a very important role in many developing countries. In Bangladesh banking sector has contributed and continues to contribute towards the development of socio-economic conditions. As a student of B.B.A to fulfill the requirement of this Degree, I was assigned to pursue Internship in JBL, Chowrasta Branch, Gazipur. The scope of the study is quite wider exploring the “Foreign Exchange System of the Jamuna Bank Limited”. In my report I have highlighted the various steps of foreign exchange operation of the JBL.I have discussed about the export, import, foreign remittance etc. Before that a brief overview of the JBL has been given to understand its operation and activities. So the scope of the report covers the comprehensive knowledge of the organization of the JBL.I have tried to analyze and evaluate of banking foreign trade performance based adequate information contained in documents and interviews of banking officers. There were some restrictions to have access to the information confidential by concern authority. The report is only based on Jamuna Bank Limited. The time limit of three months internee ship is stuffiest to understand the total operational process of the bank. Sufficient records, publications were not available as per my requirement. This report doesn’t provide adequate historical information. Name of the Bank : Jamuna Bank LTD.
Jamuna Bank Limited (JBL) is a Banking Company registered under the Companies Act; 1994.The bank started its operation from 3rd June 2001. Jamuna Bank Limited is a highly capitalized new generation Bank with an Authorized Capital & Paid-up Capital of Tk.400.00 crore & 200.00 respectively. Forty Four Branches & One SME Center are doing business & five more branches will be opened soon. To become a leading banking institution & to play vital role in the development of the country & service so that sustainable growths, reasonable return & contribution to the development of the country can be ensured with a motivated & professional work force. The bank committed to satisfy diverse need of its customers through an array of products at a competitive price by using appropriate technology and providing timely services so that a sustainable growth, reasonable return & contribution to the development of the country can be ensured with a motivated and professional workforce. The sponsors of Jamuna Bank Limited are reputed personalities, leading entrepreneurs of the country having stakes in different segments of the national economy. They are eminent industrialist & businessmen having wide business reputation both at home & abroad. JBL is managed by highly professional people. The present Managing Director of the bank is a forward-looking senior banker having decades of experience and multi discipline knowledge to his credit both at home and abroad. He is supported by an educated and skilled professional team with diversified experience in finance and banking. The management of the bank constantly focuses on the understanding and anticipating customer’s needs and offers solutions thereof. Jamuna Bank Limited has already achieved tremendous progress within a short period of its operation. The bank is already ranked as one of the quality service providers & known for its reputation. Management of Jamuna Bank Limited is headed & leaded by the renowned banking personality Mr. Motiur Rahman. iv. Creates medium of exchange. Modern commercial Banks like JBL, besides performing the functions, cover a wide range of financial and on-financial services to meet the growing needs of the time. Some of these services are available only to the customers while others are available to the public in general. Jamuna Bank offers different types of Corporate and Personal Banking Services involving all segment of the society within the purview of the rules and regulations as laid down by the Central Bank and other Regulatory Authorities. The client can maintain different types of deposit accounts i.e. Current Savings, STD, FDR and Foreign Currency Account according to his necessity and convenience. Gazipur Chowrasta Branch is on of the most potential profit-oriented branch of Jamuna Bank Limited which started its operation at 1428,Chandana Chowrasta, gazipur on, 2009 with the 9 efficient & responsible officers. Now the number of employees is at of Gazipur Chowrasta Branch 15. Letter of Credit, Bank Guarantee, Cash Credit, SOD, Loan(general) Hire Purchase, Lease Finance, LIM, LTR, Work-order Finance, Export Finance, House Building Loan, LDBP and FDEBP. Online Banking have so far been activated with 44 (forty four) Branches of the Bank from January 01, 2006. Online service is now available for all customers –Both Cash deposit and withdrawals, Cheque Deposits and Transfer in CD, SB, STD, Loan accounts (Cheque Bearing within limit). Monthly Saving account will not fall under online transaction service. Pay Order (PO) – Pay Order gives the payee the right to claim payment from the issuing bank. It can be en-cashed from issuing bank only. PO cannot be endorsed or crossed and so it is not negotiable instruments. Demand Draft (DD) – Demand Draft is an order of issuing bank on another branch of the same bank to pay specified sum of money to the payee on demand. It is generally issued when customer wants to remit money in any place, which is outside of clearing house area of issuing branch. It is a safe technique of transferring money from one place to another. Telegraphic Transfer or Telephonic Transfer (TT) – TT means that money is transferred to another place by telegraphic messages. The sender branch will request another branch to pay required money to the required payee on demand. Generally for such kind of transaction payee should have account with the paying bank. Thought there was an unfavorable business environment due to world economic recession throughout the year JBL was in constant effort to explore areas of credit operation and could raise the credit portfolios to Tk.32287.66 million in 2009 with an increase of Tk.11250.80million (53%) over that the preceding year. The total credit was on 31.12.08was Tk.21036.86 million. In order to compliance with regulatory requirements for avoiding risk of exposure to single borrower, concentration on large loans, to bring in excellence in credit operation in relation of risk management, yield, exposure, tenure, collaterals, security valuation etc. JBL strived for under diversification of credit portfolios, its credit facilities were concentrated on trade financing. Agriculture financing, project financing, SME finance, wholesale retail trade, transport sector, hospital and diagnostic centers and other finance, capacity additions to the manufacturing sector and structured financing for developing infrastructure of the country. JBL always maintain well-diversified portfolio. Foreign Exchange department is international department of the bank. It deals globally. It facilitates international trade through its various modes of services. It bridges between importers and exporters. If the branch is authorized dealer in foreign exchange market it can remit foreign exchange from local country to foreign country. On line banking – On-line service provide by JBL is now available for all customers of the bank. On-line banking have so far activated with all branches. As a result, it saves the time and efforts of the customers. They can easily deposit and withdraw money, transfer money from one place to another place by using On-line banking facility. ATM Booth and SME Service Centre – The bank serves the customers by providing ATM booth and SME service Centre facilities. A number of Booth and SME Service Centers have been unlocked at different commercially significant places of the country to serve the customers, to save their time, consequently, top make them free from hassle. Card Facilities – With a view to give momentum to business by diversifying its products, the bank has launched VISA dual prepaid card along with the existing Credit and Debit cards. VISA Prepaid Hajj card has been introduced to provide facilities to the pilgrims for meeting everyday expenses in the Saudi Arabia. The bank offers these facilities 24 hours of a day and all the year around. The most important prerequisite of this market is that the buyers and sellers are systematically in contact with each other for the purpose of executing foreign exchange transactions. For establishing the contact, would be buyer need not personally meet the probable sellers. It is of course true that in the early phase of the evolution of foreign exchange business there emerged meeting places known as bourse to conduct dealings in foreign exchange. The foreign exchange market, or the “FX” market, is where the buying and selling of different currencies takes place. The price of one currency in terms of another is called an exchange rate. The market itself is actually a worldwide network of traders, connected by telephone lines and computer screens—there is no central headquarters. There are three main centers of trading, which handle the majority of all FX transactions—United Kingdom, United States, and Japan. Bangladesh bank published two volumes in 1996. This is compilation of the instructions to be followed by the authorized dealers in transitions related to foreign exchange. Uniform Customs & Practices for Documentary Credit (UCPDC) published by international Chamber of Commerce (1993) Revision. There are four types of market participants—banks, brokers, customers, and central banks. Banks and other financial institutions are the biggest participants. They earn profits by buying and selling currencies from and to each other. Roughly two-thirds of all FX transactions involve banks dealing directly with each other. Brokers act as intermediaries between banks. Dealers call them to find out where they can get the best price for currencies. Such arrangements are beneficial since they afford anonymity to the buyer/seller. Brokers earn profit by charging a commission on the transactions they arrange. Customers, mainly large companies, require foreign currency in the course of doing business or making investments. Some even have their own trading desks if their requirements are large. Other types of customers are individuals who buy foreign exchange to travel abroad or make purchases in foreign countries. Central banks, which act on behalf of their governments, sometimes participate in the FX market to influence the value of their currencies. 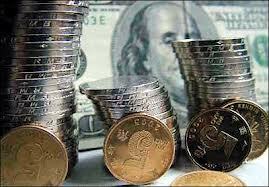 Conversion of currencies or exchanges is known as foreign exchange transactions. The conversion may arise from a transaction between a bank and another bank at home or abroad. The transactions involve at least two currencies. For a bank in Bangladesh, the process of conversion frequently involves conversion of Bangladesh Taka into foreign currency and vice versa. 1. Spot transactions: Spot market – deals with currency for immediate delivery (within one or two business days). Two parties agree on an exchange rate and trade currencies at that rate. This expresses only a potential interest in a deal, without the caller saying whether he wants to buy or sell. Although spot transactions are popular, they leave the currency buyer exposed to some potentially dangerous financial risks. 2. Forward transaction: One way to deal with the FX risk is to engage in a forward transaction. In this transaction, money does not actually change hands until some agreed upon future date. A buyer and seller agree on an exchange rate for any date in the future and the transaction occurs on that date, regardless of what the market rates are then. Futures: Foreign currency futures are forward transactions with standard contract sizes and maturity dates — for example 500,000 British pounds for next November at an agreed rate. Swap: The most common type of forward transaction is the currency swap. In a swap, two parties exchange currencies for a certain length of time and agree to reverse the transaction at a later date. 3. Options: To address the lack of flexibility in forward transactions, the foreign currency option was developed. An option is similar to a forward transaction. It gives its owner the right to buy or sell a specified amount of foreign currency at a specified price at any time up to a specified expiration date. For a price, a market participant can buy the right, but not the obligation, to buy or sell a currency at a fixed price on or before an agreed upon future date. 1) Nostro Account: Nostro account is a Latin word means ‘ours’. In order to follow the exact position of the foreign currency accounts maintained by the bank concerned in Bangladesh with bank abroad, banks maintained ‘Nostro Account’ their own bank. In the Nostro Account bank will show the foreign currency accounts of each transaction and alongside the respective items of domestic currency equivalents are indicated. 2) Vostro Account: The word Vostro means ‘yours’. It is also called a local currency account. Foreign banks maintained current accounts in domestic currency in local banks and such accounts are called Vostro Account. Generally the Vostro Account is maintained by the foreign banks on a reciprocal basis to effect payment of as well as to receive payment on behalf of their clients. 3) Loro Account: The word Loro means ‘their’. Foreign bank accounts of any third party, whether in foreign currency or in home currency is treated as Loro Account. Oversold (OS) position: When the cumulative sales exceed the purchases including the oversight balance, the bank is said to be ‘short’ or ‘oversold’ in the respective currencies. Overbought (OB) position: If the amount of a currency purchases at any stage is more than the aggregate amount of sales – both short and forward – the bank reaches what is known as ‘long’ or ‘overbought’ position. Square position: In the event the amount purchased is equal to the amount sold, the bank reaches a square position. Square position is what a bank wishes to maintain in order to eliminate the risk of adverse movement of the exchange rate on its oversold or overbought position. Ø Inward remittance: All inward foreign exchange remittances from the overseas branches and correspondents by means of cables or Mali Transfers payable to local payees and beneficiaries fall in this category. Ø Outward bills: All outward bills purchased, discounted or negotiated shall be entered into the purchase side of the exchange position regardless whether the bill is payable at sight, on demand or after tenor. Cheques and drafts against which payments have not already been made received in banks Nostro Account also fall in this category. Ø Ready and forward purchase: Ready and forward purchase of a foreign currency in the form of bill or otherwise from customers would come under this head. Ø Other purchases: All other foreign exchange transaction, both ready and forward including those carried out by the bank to maintain its position and for which a firm rate has been quoted or agreed upon, would fall in this category. Outward remittances by means of TT, MT or DD. Foreign bills including those relating to imports, which have been paid. All sales including forward sales against which firm rates have been quoted. Ready and forward sales to maintain the position. In this method of payment buyer pays seller before goods are shipped. It’s generally used in case of new relationships and for smaller Transactions where buyer is unable to obtain an L/C. there is no advantage for buyer – Pays prior to receipt of goods and documents. It’s adventurous for seller as eliminates risk of non-payment. In open account method Buyer pays seller subsequent to receipt of an invoice, normally after goods are shipped. It’s used when there is a high trusts relationship between buyer and seller and in inter-company transactions. It allows buyer to delay payment until goods have been examined, and/or goods have been sold. It doesn’t give any Advantage to seller – Risks non-payment. Documents (representing title to the goods) are exchanged through a bank for payment or acceptance (promise to pay). It is used for ongoing business relationships and transactions not requiring the protection and expense of L/C’s. Its adventurous for buyer as delays payment until receipt of documents and buyer can be financed directly by seller through use of time drafts. Its benefit able for seller as they can retains title to goods until payment or acceptance. In this method the exporter makes shipment to the overseas consignee/ agent, but the title to the goods, as also the risk attendant thereto, even through the overseas consignee will have the physical possession of the goods. The payment is only made when the overseas consignee ultimately sells the goods to other parties; this producer is rather costly and risky to the exporter. The most popular from in recent times, as the credit and payment risks of the exporter can be eliminated under appropriate forms of documentary credit. Documentary credit is any agreement, however named or described whereby a bank (the issuing bank) acting at the request and in accordance with the instructions of the customer (the applicant for the credit) (i) is to make payment to or to the order of a third party (the beneficiary) or is to pay, accept or negotiate bills of exchange (drafts) drawn by the beneficiary or (ii) authorizes such payment to be made or such drafts to be paid, accepted or negotiated by another bank against stipulated documents, provided that the terms and conditions of the credit are compiled with. Applicant: The party applying for the letter of credit, usually the importer in a grain transaction. The Issuing Bank: The bank that issues the letter of credit and assumes the obligation to make payment to the beneficiary, usually the exporter. Beneficiary: The party in whose favor the letter of credit is issued, usually the exporter in a grain transaction. Amount: The sum of money, usually expressed as a maximum amount, of the credit defined in a specific currency. Terms: The requirements, including documents that must be met for the collection of the credit. Expiry: The final date for the beneficiary to present against the credit. We’ve provided you with a comprehensive list of the parties involved in a letter of credit transaction. This page helps you understand the possible players in your scenario. Advising Bank: Denotes the bank giving notification of the terms and conditions of a letter of credit to the beneficiary (seller). The advising bank also takes reasonable care to check the apparent authenticity of the letter of credit, which it advises. Applicant: The party who applies to the opening (issuing) bank for the issuance of a letter of credit. Beneficiary: The party in whose favor the letter of credit has been established. The beneficiary is the party who demands payment under the letter of credit. Confirming Bank: A bank that at the request of the issuing bank, assures that drawings under the credit will be honored (provided the terms and conditions of the credit have been met). Drawee Bank: The bank on which the drafts specified in the credit are drawn and from which payment is expected. Issuing Bank (Opening Bank): The bank, which issues the letter of credit on behalf of the applicant. Negotiating Bank: Bank, other than the issuing bank, which elects to “negotiate” (advance funds or give value to the beneficiary) against presentation of complying documents. Reimbursing Bank: The bank authorized by the issuing bank to reimburse the drawee bank or other banks submitting claims under the terms of the credit. Transferring Bank: A bank authorized by the issuing bank as specified in the credit that can transfer the issuing bank’s documentary credit from one beneficiary to another at the request of the first beneficiary. A revocable letter of credit allows for amendments, modifications and cancellation of the terms outlined in the letter of credit at any time and without the consent of the exporter or beneficiary. Because this places the exporter at risk, revocable letters of credit are not generally accepted. An irrevocable letter of credit requires the consent of the issuing bank, the beneficiary and applicant before any amendment, modification or cancellation to the original terms can be made. This type of letter of credit is commonly used and preferred by the exporter or beneficiary because payment is always assured, provided the documents submitted comply with the terms of the letter of credit. Irrevocable letters of credit can be both confirmed and unconfirmed. When a third Bank provides guarantee to the beneficiary to make payment, if issuing Bank fail to make payment, the L/C is called confirmed L/C. In case of a confirmed L/C a third Bank adds their confirmation to the beneficiary, to make payment, in addition to that of issuing Bank. Confirmed L/C gives the beneficiary a double assurance of payment. Opening of letter of credit means, at the request of the applicant (importer) issuance of a L/C in favor of the beneficiary (exporter) by a Bank. The Bank, which open or issue L/C opening Bank or issuing Bank. Advising through a Bank is a proof of evident authenticity of the credit to the seller. The process of advising a credit consists of forwarding the original credit to the beneficiary to whom it is addressed. Before forwarding the advising Bank verify the signature (s) of the officer (s) of the issuing Bank & ensure that the terms & condition are not in violation of existing exchange control regulation & the other regulation relating to export. If credit is transmitted via telex, advising Bank will match the test used in the telex. Parties involved in a L/C, particularly the seller and the buyer cannot always satisfy the terms and conditions in full as expected due to some obvious and genuine reasons. In such a situation, the credit should be amended. The seller being satisfied with the terms and conditions of the credit proceeds to dispatch the required goods the buyer and after that, has to present the documents evidencing dispatching of goods to the negotiating bank on or before the stipulated expiry date of the credit. After receiving the entire document, the negotiating bank then checks the documents against the credit. If the documents are found in order, the bank will pay, accept or negotiate to the issuing bank. Whether the documents are paid or dishonored, the opening bank will reverse the liability entries in their books as under. Bank’s Liability on L/C ……………..Dr.
Customers Liability on L/C ……………..Cr. Bill of Exchange (B/E) …………..Dr.
Retirement of Import documents: When the importer releases the import document from the Bank by acceptance/cash payment or under post import Bank finance it is known as retirement of the import document. Refusal Notice: After examination, if the documents become discrepant, issuing Bank will through the refusal notice to the negotiating Bank with seven Banking days. Settlement means fulfilling the commitment of issuing Bank in regard to effecting payment subject to satisfying the credit terms fully. This settlement may be done three separate arrangements as stipulated in the credit. Back-to-back letters of credit are two individual letters of credit that together offer an alternative to a transferable letter of credit. The back-to-back letter of credit allows exporters (sellers or middlemen) who do not qualify for unsecured bank credit to use a letter of credit as security for a second letter of credit in favor of a supplier. In other words, if a foreign buyer will issue a letter of credit to an exporter, certain banks and trade finance companies will issue independent letters of credit to the exporter’s suppliers so that the required goods can be purchased. Even if the initial letter of credit is not successfully completed, the second remains valid, and the issuing bank is obligated to pay under its terms. A cash advance against a letter of credit works like back-to-back letters of credit, with the exception that the bank or financing company will issue cash to the suppliers instead of another letter of credit. When the clause of the credit authorizing the negotiating bank to provide pre-shipment advance to the beneficiary is printed /typed in red, the credit is called ‘Red Clause Letter of Credit’. Under the above-mentioned clauses, the opening bank is liable for the pre-shipment advances made by the negotiating bank, in case the beneficiary fails to repay or deliver the documents for negotiation. A Green Clause Credit is a credit with a special clause incorporated into it that which not only authorizes the advising bank to grant pre-shipment advances but also storage cost for storing the goods prior to shipment. SWIFT Inter-Bank Transfer: Now firmly established as standard practice in the major trading nations. The buyer will instruct their bank to make payment to any bank account specified by the exporter. It is good practice, therefore, for the exporter to include their account details on their invoice heads. Buyer’s Cheque: An unsatisfactory method of settlement for the exporter as it carries the risk of dishonor upon presentation as well as the added inconvenience of being slow to clear. There is also the very real danger of the cheque being lost in transit as well. A cheque is also unsatisfactory if it is in the currency of the buyer, as this will take longer to clear and will involve additional bank charges. Exporters should only use this method if they have an established trading history with their customer or in cases where the profit margin has been increased to offset cash flow problems anticipated by the delay in receiving payment. Banker’s Draft: The buyer who asks their bank to raise a draft on its corresponding bank in the exporter’s country arranges this. Provides additional security to a buyer’s cheque, but they can be costly to arrange and they do run the risk of getting lost in transit. International Money Orders: These are similar in nature to postal orders. They are pre-printed therefore cheaper to obtain than a Banker’s Draft, although again there is the risk of loss in transit.